We know that choosing and writing email content for you the marketer is not always the simplest of tasks. But here at Milkround with a little analysis of our own we’re here to provide you with some top tips to get you the engagement you need to ensure that return on investment. There is no one size fits all policy. What works well for one company may be a washout for another so it’s important to always keep the audience being targeted in mind. For some of the more recognisable names, placing the brand name in the subject line can be a simple solution as that initial affiliation makes the reader want to know more. For those less well known, it’s important to be direct and tell the recipient exactly what they will be getting. The golden rule is to be short and concise. The use of over complicated language or sentence formatting will almost instantly cause all attention to be lost. 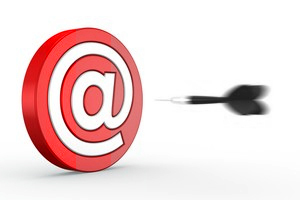 These two small factors have seen emails exceed open rates of 20% compared to our overall average of 14%. As our audience have signed up to the website themselves, this already tells us they want to engage with what we offer. Think of it as a shopping experience where the recipient is choosing which kind of job they would like. You choose your targeting which matches their choices so all that remains is delivering a key message which must relate to the offer. There are no worse performers than those making a generic statement. Why would someone who has signed up to receive tailored job alerts open an email aimed at many? Simply stating what’s enclosed tells the recipient what they are going to get which is important as it’s relevant to what they want. A mobile user will typically only ever see the first 4 words of the subject line on their device. With 65% of our audience opening emails this way it’s crucial the key component of your message is stated from the start. The same rule applies for the content of your message. Ultimately, your email message should lure candidates to click through to find out all the information they need to know. This should be presented in a bite size and digestible format. We like to think we’ve been doing this long enough to really help you get the best from your targeted email sends. Through using software which enables us to make sure your email is 100% deliverable and will not end up in the dreaded junk folder; we can combine your key recruitment message with our insight expertise. For more information on our targeted email service speak to one of the team on 020 3003 4000. Previous Previous post: Milkround’s new CV search! Next Next post: Milkround School Leavers supplement- out on the 6th May!